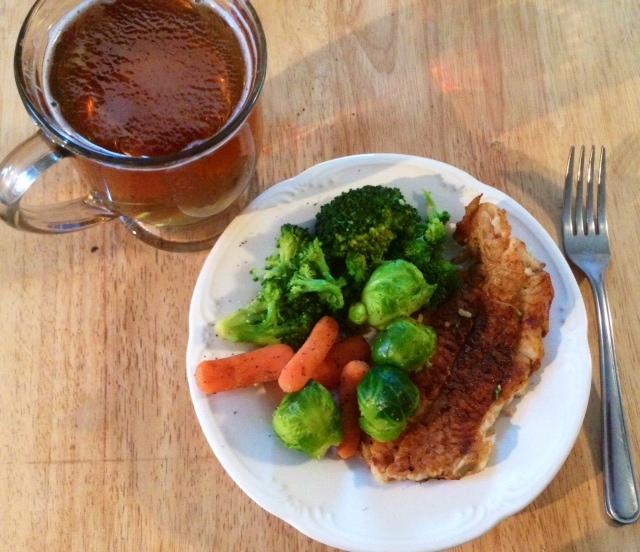 A quick post this evening, with an update on how the Whole30 Program is going. After a week of awareness about what I am eating, and even more awareness about what I am NOT eating, I’d say the program is going well. Eating whole foods is easy to do, even with the occasional meal out, and I feel like there is a wealth of information available online. There are recipes and supportive sites that I’ve not even looked at yet. It’s got to be simple for a program to work for me. My schedule can sometimes interfere with regular lunch and dinner times and I’m not a big breakfast eater, however, I’m relying on boiled eggs to supply protein in the mornings and after adding a handful of nuts and a cup of berries, I’m ready to go! Lunches and dinners have most often been grilled chicken or fish with fresh or frozen veggies. I love including sliced avocado, for healthy fat. And I’ve really savored baked sweet potatoes with a dab of clarified butter, also known as ghee. This class of butter originated in India and is available locally at health food stores. Shopping has been just as simple. Most of my purchases are in the fresh produce section and the meat section, with trips down the frozen vegetable aisle, in my usual grocery store. I make a weekly run to my favorite health food store for items such as ghee and almond flour. Tea time, I feared, would become a casualty, but I’ve found I can still have my Scottish tea, I just don’t add that splash of milk. I like the tea plain, I’ve discovered, and I can appreciate the subtle flavors more. 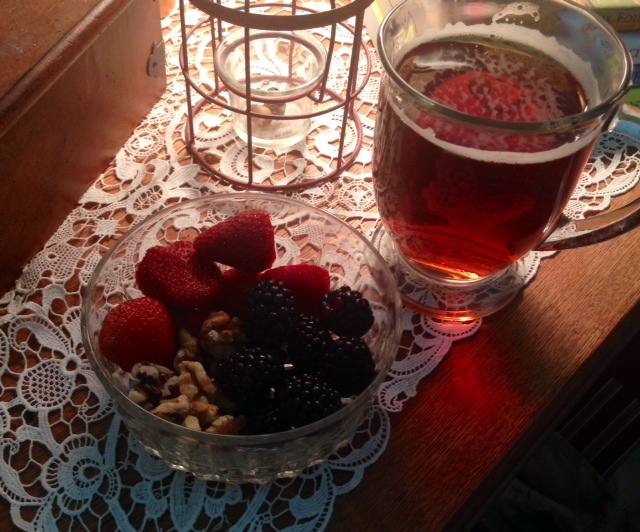 Instead of finger sandwiches or shortbread cookies or scones, I’m enjoying fresh fruit and a handful of nuts. It’s a great little pick me up and I don’t feel cheated out of afternoon tea. Soon I’ll be trying a grain-free, sugar-free, dairy-free recipe for nut cookies that I found. If they are as delicious as they look, and prove to be a perfect accompaniment for hot tea, I’ll pass the recipe along. I’m careful about eating out, however, I’ve not found it difficult to get a grilled protein, such as fish or chicken or even steak, with plain sides like grilled asparagus or a baked sweet potato without the sugar/cinnamon mix added. Today, not having time to make it home for lunch before a closing, I had grilled chicken nuggets from Chick Fil A and a plain fruit cup. Perfect. Best of all, after one week, I’m feeling great. 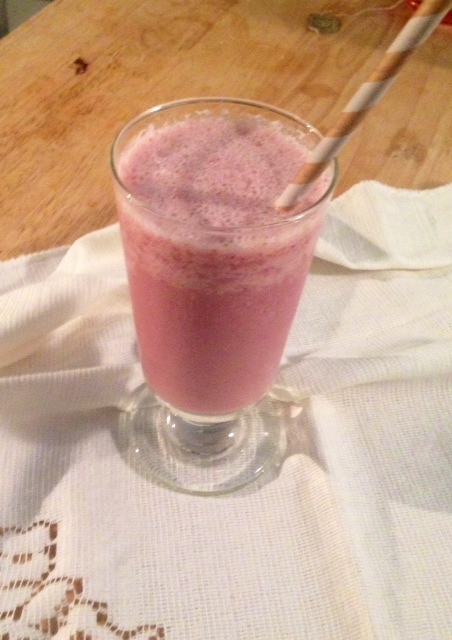 Those little aches and pains disappeared within 24 hours after I stopped consuming sugar. I’m sleeping better, have more energy, feel lighter. The program does not rely on scales as a measure of success and health, and I like that! My jeans are loose…that tells me all I need to know about weight. It is so good for me to be reminded that sugar is poison to me. I can occasionally have a slice of birthday cake, if I choose to after the 30 days, however, why choose to? I don’t feel good when I eat that stuff. I think dairy affects me by clogging up my sinuses and causing allergy type reactions. I don’t know that I have any intolerance of grains, but I’ll experiment with those later. 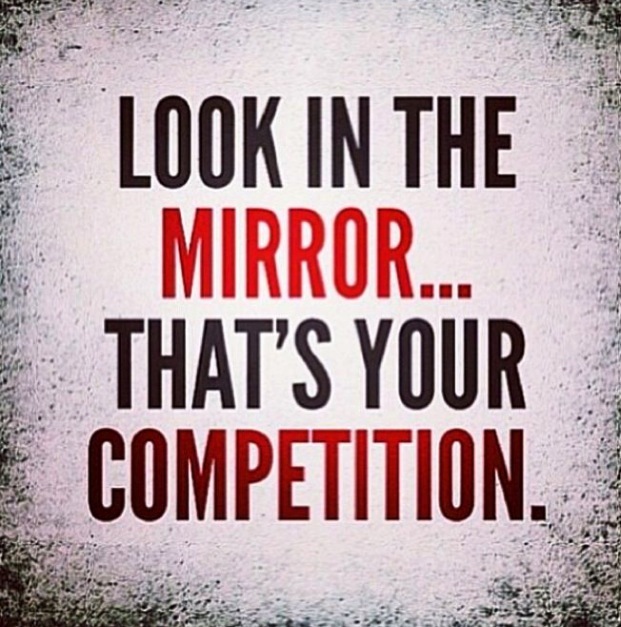 I love the quote, posted below, that I found today, about my competition being the person I look at in the mirror. That’s it. I compete with no one, judge no one, including myself. I simply challenge myself to release that which is not best for me, and embrace that which is. My desire is to be the best me possible, for my own joy, because it makes me feel great. From that amazing and optimal space, I have so much energy that it fills me and naturally overflows to others. For me, that’s the most incredible benefit of all of a healthy lifestyle.